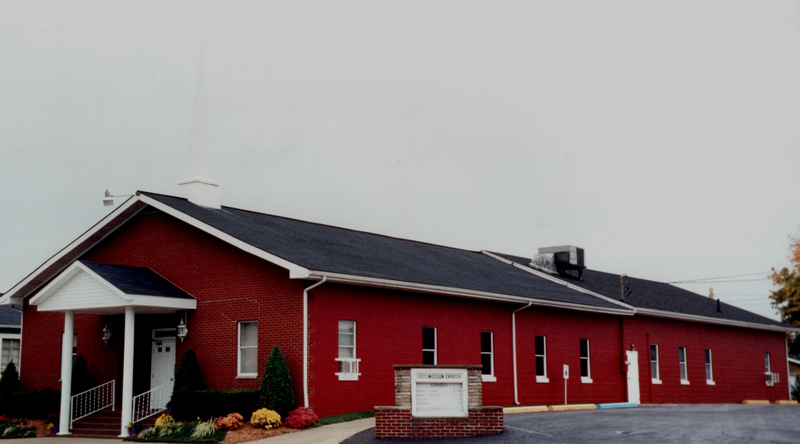 The City Mission Church and the City Welfare Mission began on October 8, 1944 in a converted saloon located at 212 Lawrence Street Ironton, Ohio. Now we are located at 710 North Fifth Street, Ironton, Oh. In our history we have only had three Pastor/ Directors. Rev. Jeffery Cremeans 2005 – present. Our church is an old fashion Bible believing church. We still sing from the hymn book and preach only from the King James 1611 version. We still have an altar in our church and an invitation to meet Christ is extended every service. We believe that God is one but manifested in three persons, God the Father, Jesus the Son, and The Holy Spirit. We believe that salvation is by grace alone. The City Mission Church operates a full time Mission to help those who are in need in our community with the motto of “The Door of Hope to the Unfortunate.” Although we are helping people all year long we are best known for the free Thanksgiving Day dinner that is given to hundreds each year and also for helping with Christmas food and toys. Every year hundreds of families are given food and over 1,000 children are given toys. This is made possible by the generosity of individuals, churches, schools, and civic groups who share our vision of helping others. Sunday School at 2:00 p.m. We have classes for all ages. Sunday Evening at 7:00p.m. We also have a children’s church for the youth. Tuesday prayer meeting at 7:00p.m. We also send men to preach at the jail every Sunday morning at 10:00 a.m.
We conduct a rest home service every Sunday morning at 11:00 a.m. and another one on most Friday nights at 7:00p.m. Three Tuesdays a month we send a preacher to a local high-rise apartment house to have church with the residence there. We do run a van for all services here in the city limits of Ironton.